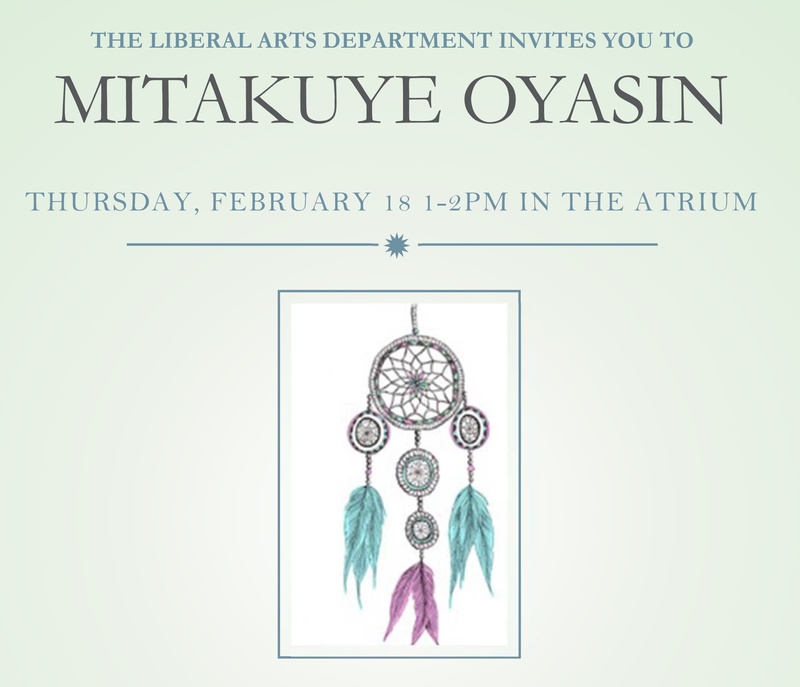 Join PCA&D’s Liberal Arts Department in a celebration of Mitakuye Oyasin, “all my relations” with guest speaker Oglala Lakota Native American, Reed Brown, Jr. on Thursday February 18th from 1-2 pm in the Atrium. He will be joined during his presentation by his father Reed Brown Sr., a renowned Oglala Lakota Herbal Healer from the Pine Ridge reservation. Brown's daughter Faith, who is a traditional dancer, will perform at the event. Brown, from the Pine Ridge Reservation in South Dakota, is the creator and director of Red Hoop Powwows, Sweat Lodges, and Sundance Ceremonies around the nation. Raised in the Pine Ridge Reservation in South Dakota, his ancestors include the famed Sioux chief Red Cloud, the Medicine Man Chips, and the Moytoy line of Cherokee chiefs. Brown will discuss reservation life: assimilation and loss of traditions, issues of poverty and addiction, and the impact of gaming and land claim legal problems. Brown will also share inspiring stories of his ancestors and his family's vision to strengthen communities through education, connection, and shared arts. Brown’s presentation will explore his philosophy of the Red Hoop, an interconnected worldview of oneness and a spirit of unity as well as Native American life and traditions, past and present. He is trained in prayer song, medicine, and drumming. Brown’s presentation is being held in conjunction with the Foundations of Verbal Communciations course required of Foundation Year students. The class is currently reading the novel The Lone Ranger and Tonto Fistfight in Heaven by Sherman Alexie, which is a series of short stories dealing with Native American culture and life on the reservation. The talk also relates to upperclassmen, who all have had or are currently in Art History: Nonwestern Art, which has a unit on the art of the North American nations. Liberal Arts is an important component of PCA&D’s education in the visual arts, with the goal of building critical-thinking skills and examine the creative process in a wide range of subjects. BFA degree students at PCA&D are required to complete liberal arts courses in art history, verbal communications, sciences/mathematics social sciences and humanities, where they learn effective writing, research, and analysis skills and establish the framework to think globally.